There is undeniable stress on kids after a separation or divorce. Agreeing about parenting issues is hard enough when parents are together, it can become unbearable during separation or divorce. Many good parents subconsciously start using their kids to get back at each other. It is important to remember that however real your differences maybe with your ex-partner, this is not the kids’ battle. Don't drag them into it. More and more parents are now choosing to put their personal feeling aside and enter into a co-parenting partnership to reduce the stress on their kids. Their sacrifice allows their children to be better adjusted and more successful in all aspects of their present and future lives. Successful co-parenting is not easily achieved, but it is very possible. Both parents will have to put their egos aside and consistently choose to put the wellbeing of their kids before anything else. The following guidelines will help you approach co-parenting. 1. Give your kids a simple but honest explanation about the break-up. Keep their age in mind. Have the talk with both parents and all siblings present, to show a untied parenting front from the get go. Hearing the new together makes it more likely that the kids will become each other’s support systems by bonding on shared experiences. 2. Be available to listen to your kids. Accept their feelings, let them know it’s normal to feel sad, angry, guilty, etc. Let them that you won’t be mad no matter what they tell you. Most of the time kids are just looking for someone to vent to. If they confide in you, ask them if they need advice before you start giving advice. Just listen and validate. 3. Let them know that no matter what happens they’ll be okay. Reassure them early and often that the split is not their fault. Kids of all ages may fear that because you stopped loving each other, that someday you might stop loving them as well. 5. Set up a regular visitation schedule. Minimize changes. Try to keep kids in the same school and activities as before. Kids feel more secure when they know when and for how long the visitation will occur. To not further break the trust in the child be dependable, if you say you are going to pick them up, then pick them up. 6. Define rules together and use them consistently. Agree on issues such as TV time, bedtime, curfew, how misbehavior is handled, etc. Kids need rules to feel safe. 7. Spend special time with your child. Child needs you more now than ever. Don't shower with gifts or let them break rules to earn their love. They'll know what you are doing. Do the harder thing and actually get involved in their lives. Keep some old rituals, create some new ones for example a special handshake or greeting every time you part or meet again. 8. Don't introduce your children to potential partners. Wait until you are in a serious committed relationship. Such an exposure will make it difficult to establish committed relationships as adults. 9. Don’t argue or fight with you ex-partner when kids can hear you. Experts says that children who witness more conflict have a more difficult time adjusting. If you cannot keep conflict to a minimum, please get help! 10. Don’t criticize your ex-partner in front of your kids. Remember that your ex-partner is still your kids’s parent. When you criticize your ex-partner, you harm your kids. 11. Don’t use the kids as messengers or spies to deliver or receive information from the other parent. 12. Don’t use your kids to get revenge on the other parent by denying child support or visitation. Kids have a right to both of their parents. 13. Don’t make your kids take sides in any dispute with the other parent. Kids generally want to make both their parent happy. Don’t make them choose. Be supportive and neutral when you talk to your kids about your ex-partner. 14. Don’t punish or reprimand immature behavior. 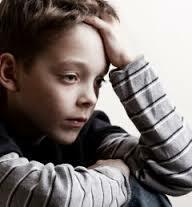 Kids of all ages who feel stressed may act babyish for a while when under extreme stress as a defense mechanism. They may start baby-talk, bed-wetting, or thumb-sucking. They need extra comfort and affection during this time. 15. Praise your child often. Parents in the midst of divorce are often distracted and miss opportunities to acknowledge their child’s positive behavior. If you have any questions or concerns or would like me to create a co-parenting plan with you, please feel free to contact me for a free consult at (973) 755-2306.